This is a huge decision when moving but it’s key you feel confident in your choice so start getting referrals and doing research early. First start out by finding reputable companies that are licensed, insured and have a great record. Once you’ve picked out your top companies the best way to compare them is by getting an on-site estimate. This allows you to compare apples to apples when looking at moving costs, packing services, and just the company in general. You can take advantage of this meeting and talk with companies about promotions they may be running like use of boxes for free with your move. 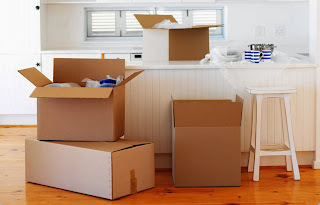 If packing yourself, the earlier you start packing the less likely you are to feel stressed. This also makes the task of packing your entire home less daunting when it’s done in hour sessions each night or on the weekends rather than a panic the night before your move. You can also use this extra time to get rid of things you don’t need and possibly make some extra cash with a garage sale if wanted. When unpacking keep in mind you don’t need to stress yourself and get it done the same day. Start with the rooms you use most like the kitchen, your bedroom and bathroom. Setting up your new home should be a fun event not a stressful one! When moving there are some things you don’t think of at first when starting to plan your move like changing your address or transferring utilities and doctors. Making a check list of these little things can help keep you organized when it comes to move day. You can also plan ahead and get one thing checked off your list every weekend that way there’s not additional stress after your move. Moving doesn’t have to be stressful, make sure to keep this in mind! One of the keys to a successful move is planning ahead so make a plan that works with your schedule and keep to it. If you feel yourself getting overwhelmed take some self-health time and do something you enjoy like a hot bath, exercising or watching a movie. It’s better to take an hour for yourself so your move goes smoothly. Nice read!!! Moving is really a stressful thing. No one wants to move from one place to another, but sometimes moving is necessary. Now, there are various moving service providers who will help you at the time of moving. If you hire them, then heavy equipment like piano or any other items moves comfortably. I am used Piano removalists Melbourne service and I really enjoyed its service. My most of the stress becomes less with the presence of it. It is possible to choose any older film watch32is.org to receive details about it and have started watching it online at premium quality.